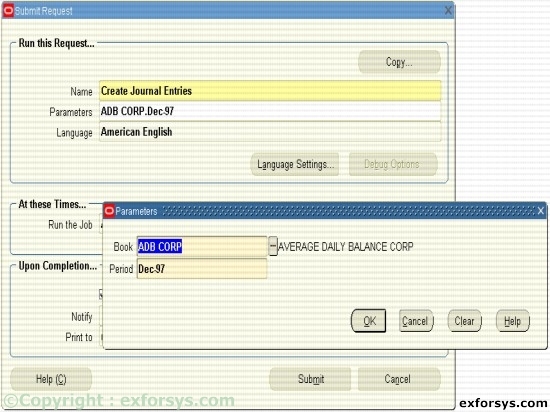 In this tutorial you will learn about Journal Entries: Assets Journal Entries Flow – Oracle Assets creates journal entries for depreciation expense, asset cost, other accounts, and automatically creates general ledger transaction journal entries, if you have set up the journal entry category for that transaction type in the asset book. The period name in the depreciation calendar assigned to the asset book must be the same as that in the GL calendar for the set of books for the journal entries. When you run the Create Journal Entries program, Oracle Assets sends entries directly to the GL_JE_BATCHES, GL_JE_HEADERS, and GL_JE_LINES tables. You can run the Create Journal entries program multiple times before closing the depreciation period. 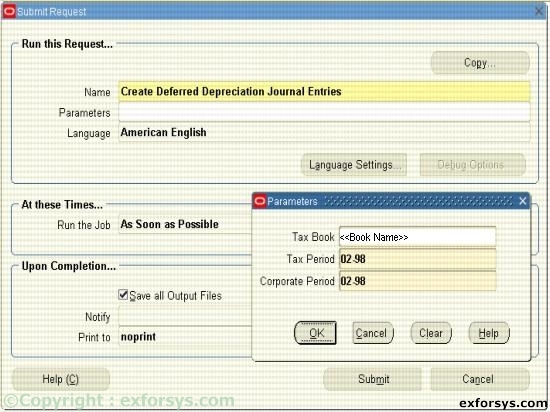 You can rollback journal entries in an open depreciation period if the journals have not already been posted to GL. Figure 1. Navigate to Journal entries. 3. What is the significance of asset books in FA? 4. How do we retire assets in Oracle applications? 5. 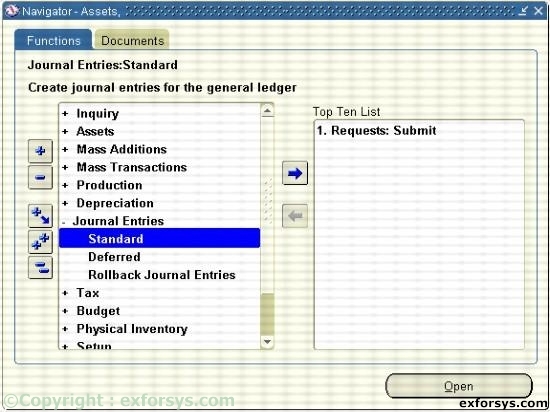 What are the various Journal Entries generated through Fixed assets?